Ever wondered who manages the money that you deposit in the bank or invest directly in stocks and bonds? Well, the financial services segment of the bank and standalone financial corporations further invest this money in a range of financial instruments, striking a balance between debt and equity. On a broader canvas, financial services encompass products and services offered by financial institutions in order to facilitate financial transactions and other related activities. These could be associated with loans, insurance, credit cards, investment opportunities, money management and stock broking services. But the substantial chunk of work happens in capital markets. Normal savings bank account gives out very low interest for your money with fixed deposits paying slightly higher interest rates. So, the only way to provide the customer best services- maximum returns and added benefits - is to invest the same in capital and commodity markets. “Capital Markets comprise the stock exchange, stock market and mutual funds,” informs Atul Kanwar, an analyst working with Bajaj Capital. The Securities and Exchange Board of India(SEBI) is the authorised body, regulating the operations of stock exchanges, banks and other financial institutions. The financial services sector looks for graduates with commerce, economics, finance, mathematics and a management background. Candidates start in financial advisory companies, in mutual fund houses and in stock brokerage firms. “We usually prefer postgraduates from leading business schools, with specialisation in finance or sales and marketing,” says Sunaina Matto, executive vice-president, HR Bajaj Capital. Bajaj Capital is a distributor of investment and investment products with expertise in financial planning and investment advisory. In a mutual fund company, the function areas include sales and marketing, fund accounting, investment and research, operations and administration. You can be an advisor or a financial planner. Once you gain four to five years of experience, you can move on to be a research analyst and some years later, a fund manager. As a fund manager, you have to be apt at portfolio management skills and possess knowledge of various asset classes to take decisions on buying and selling (see table: Financial Services Sector). One can also be an intermediary, but for that one has to clear an exam conducted by the Association of Mutual Funds in India (AMFI). Graduates with AMFI Certification can work as business development managers, relationship managers and advisors for the marketing and distribution of mutual fund schemes. There are back office functions such as fund accounting, IT/network support also. The compliance areas in mutual funds and brokering firms also recruit candidates possessing law degree or a company secretarial degree. The job is also open to NCFM-certificated candidates, the examination of which is conducted by National Stock Exchange(NSE). Various stock exchanges such as Bombay Stock Exchange, National Commodities and Derivatives Exchange (NCDEX), NSE, other commodity exchanges and market entities such as NSDL, SEBI and power trading exchanges also have job openings at various levels. The total Foreign Institutional Investment inflow in equity during January to May 2010 was US$ 4.6 billion, according to ibef.org. The average assets under management of the Mutual Fund industry stood at US$ 170.46 billion for May 2010, as compared to US$ 135.58 billion in May 2009, according to the data released by Association of Mutual Funds in India(AMFI). What do these figures convey? It means that the capital markets are buzzing with action. The inflow of funds is feeding domestic businesses with capital, giving them the base to grow. Growth in markets means need for human resources. 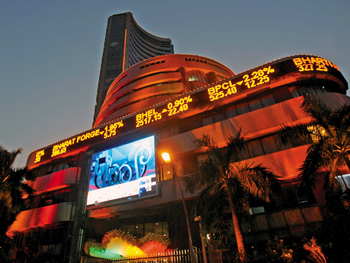 The April 2010 report of FICCI report said, there will be three-fold rise in India’s capital markets by 2020. As a stock broker, you may work with institutional investors as securities traders, securities analysts, advisors or dealers. Brokers also work with banks, MF, pension funds, insurance companies and other FIs or work with individual clients. Small time stock-brokers perform the combined roles of researchers, equity and investment analysts as well as that of financial advisors. Companies depend on researchers and analysts to understand the market behaviour and make investment decisions. One division of capital market called the Equity Capital Market deals with trading shares and the other, Debt capital Market, deals with fixed income. Companies hire equity analysts to research the market and suggest profitable investment options. The research analysts do the valuation, and track the companies’ financial performance. Organisations also hire investment analysts who research, study and analyse financial reports of companies. The analysts also study market and company statistics, stock performance, assess financial results and suggest long/short-term investment options. The advisors or financial planners understand the financial goals of the customers. They chart out a plan of action for them, so that their financial goals can be realised. An MBA from a top institution is always the preferred entry route. Investment banking pays the highest salaries and recruits the best candidates. The job demands tremendous analytical skills, ability to understand apply stochastic forecasting techniques, and very good communication skills. Some institutions like NMMIS, also offer specialised MBA programmes focusing on the capital markets. A Certified Financial Planner is another preferred route of entry. Trading in stocks does not require formal qualifications but a keen sense of the financial system. A basic ability to analyse balance sheets is very essential. Some renowned stock brokers do not have much qualifications, though with the changing nature of the stocks and the values they represent, a qualification like Certifed Financial Planner (CFP) would help. So if risk taking is your forte, and you can withstand high pressure and stress on a daily basis, this may be the job for you. Mr. T N Radhakrishnan, Head of HR, UTI MF talks to Urmila Rao. EXPERT TALK: What Mutual Fund Managers do at work? Q: What are the role responsibilities of an MF Manager? A: The core responsibilities involve taking investment decisions through interactions with brokers, company officials, market players, research specialists and other sources. He has to monitor the portfolio and review the performance of funds regularly. He has to work closely with the marketing department to share knowledge on funds, schemes and portfolios, dividend schedules. .
Q: Which institutions have mutual fund managers? A: There are 43 AMCs that have mutual fund managers. Besides us, some of them are: Birla Sun Life Mutual Fund, LIC Mutual Fund, HDFC, Reliance, Kotak Mahindra, ICICI Prudential mutual funds. Q: How long does it take for a fresher to graduate to MF manager? A: It takes approximately 12-15 years become a full-fledged MF manager. A fresh recruit’s career progression is thus: Research Analyst Senior Research Analyst , Assistant Fund Manager, Co Fund Manager, Fund Manager. A: For firms, retention at times becomes a challenge as small firms can afford to give better titles faster compared to the larger companies. In larger companies, the size of the Portfolio coupled with the performance of the fund plays an important factor. Large organisations are structured and need to respect the issues related to internal parity etc. PROFESSIONAL SPEAK: "Investment banking, his true calling"
After completing Engineering with an IT specalisation, Ashish decided to embark on a career in Capital Markets after a two-year stint in the IT industry. This helped him discover that investment banking was his true career destination. What took him so long to realise that? “As you grow and get exposed to new things in life, you see other opportunities that hold your real interest,” replies the 25-year-old sagaciously. The first-year syllabus had apprised him of concepts like Debt Market, Macro Economics, Corporate Finance, Taxation, Computer Application in Finance among others, and it ended with an internship. “The real experience is different and enriching,” says this NMIMS student, who interned with a domestic brokerage house. “In the second year, I am getting acquainted with the basics of Financial Risk Management, Equity Analysis, Global Capital Markets, and Commodity Markets and Trading,” shares Ashish, the second-year student of MBA (Capital Markets). PROFESSIONAL SPEAK: The stock markets make weekdays more exciting! For Atul, Saturday and Sundays are boring! Mondays excite him the most, when the stock markets open to a frenzied start, post the weekend lull. The 32-year-old started dabbling in stock markets while in college. As a retail investor, research on financial health of companies, tracking the performance of asset classes, investing and redeeming portfolios and activities related to capital markets fascinated him. So, as soon as management studies were over in 2000, the MBA graduate from University of Pune headed for the US-based Turner International, a media conglomerate, and started his professional life selling distributorship to domestic media houses. But reality dawned, soon. The work wasn’t as alluring as he had perceived. “I got tired of travelling and the rigour,” he says. Seven years later, he enrolled at the International College of Financial Planning(ICoFP). “I completed a two-year full-time PG Diploma in Securities Analysis and Trading, “says Kanwar, who rues that institutes offering specialised studies in trading hardly exist. Today Kanwar identifies stocks for HNI clients. He also prepares financial intelligence reports by researching the financial histories of companies. His reports are published on the company’s website under “Just Trade” section. Kanwar also pens “Stocks to Buy”- a column for ‘Investor India’, Bajaj Capital’s monthly magazine. “I suggest long-term stock options, which is my area of expertise,” he apprises. Finally he feels at home. Investing in the form of debt to the companies yielding interests. Investing funds through commodity exchange in commodities like soya, cotton, sugar, wheat etc. Investing in instruments which derive value from underlying value of commodity, security, exchange rate etc.